I’ve been using this backpack for the last year and a half, and all I have so far are nice things to say. 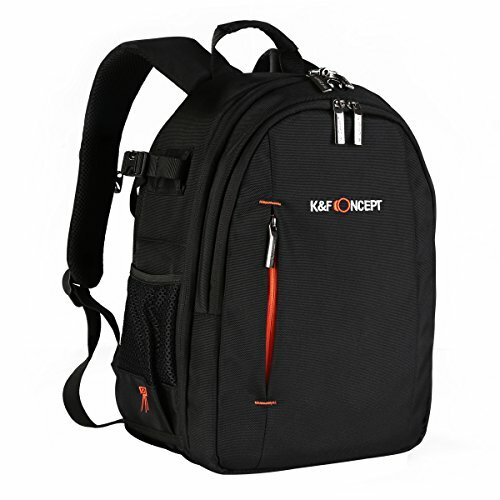 The backpack comes at an unbeatable price, as well as price/quality ratio. 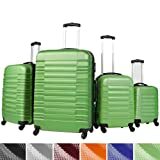 It is lightweight but extra durable, and can pack a ton of clothes, items and whatnot. I use it predominantly for hiking and camping with my boys, but cannot really count the times I’ve used it for packing things and traveling over the weekend. It is so practical and convenient. Aside from the 3 decent-sized compartments on front, you also have two zipped ones at each side, as well as two mesh water bottle compartments. 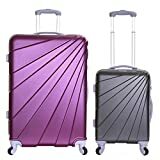 The large pocket at the bottom can pack a lot of clothes and raincoats, and the top small compartment is ideal for carrying items that you’ll need during the trip. Then you have the main compartment which is extra-large, and can easily pack half of your wardrobe. 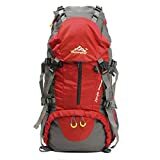 This Andes Ramada extra large hiking camping backpack is ideal for traveling solo, and ideal for trips over the weekend as well as people who love to hike. I’ve been using it whenever I go camping with my boys, and it can pack a lot of stuff so they don’t have to carry a heavy load. I love that it is incredibly organized, and that you can pack with easy and reach everything you need without having to go over half of your luggage. It features compression straps for the shoulders, as well as two additional straps for the chest and waist. They secure tightly, and the backpack feels like locked in place. Considering the price, these straps are far better in quality that you might expect. 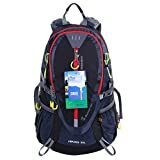 Most of the 200 plus reviews on Amazon are super positive, and this will give you additional reassurance on the quality and durability of this Andes Ramada extra large hiking camping backpack. I especially love the desert camo color variety, because it makes the backpack look far more expensive and much more appealing. The orange variety is also very popular. People will never know how much you’ve paid for it. 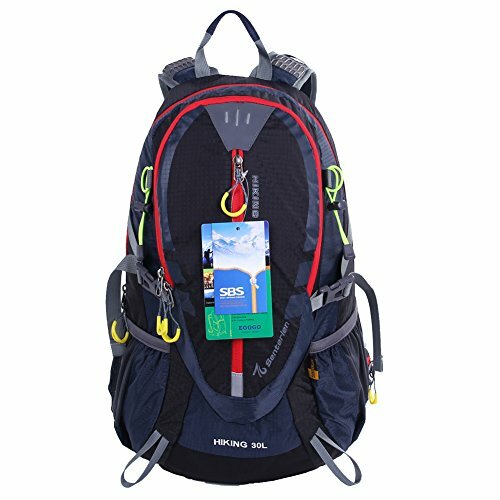 If you need a solid and super practical backpack for camping and hiking, as well as occasional trips here and there, don’t hesitate to order this one. It has a large storage capacity, and the price/quality ratio is amazing. 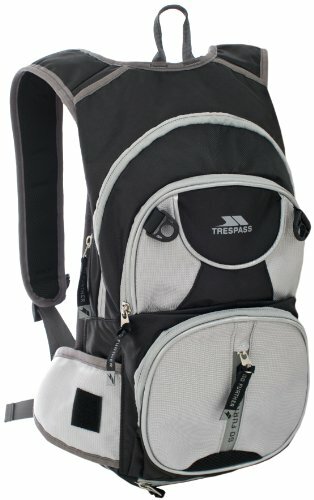 Backpacks Trespass Terminal Cycling Back..